So we got the F150Lifts test truck swapped out into the Boss Suspension. Real world testing to commence! Things looking tasty!!! As you can see the lower shock mount is OEM and Heim....we will test what is the best way to go. We mounted drivers side OEM and Passenger side Heim. Last edited by HaloLifts; 04-05-2014 at 11:19 PM. Nice, looking forward to seeing the final test results! Looks good Alex! The ride home from installing my coil overs I felt the truck handled the same if not better from stock. Thanks again Alex! 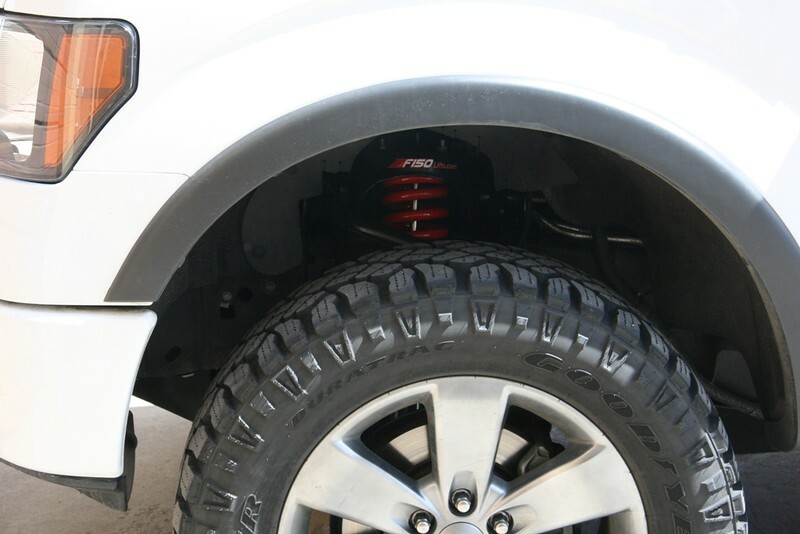 The F150Lifts Adjustable Coilovers that were removed to make way for the Boss testing... Had less than 500 miles on them and will be donated to a lucky Forum member! They will be dissembled cleaned up, reassembled and on the the way to him on Tuesday. Cheers!!! From F150Lifts! 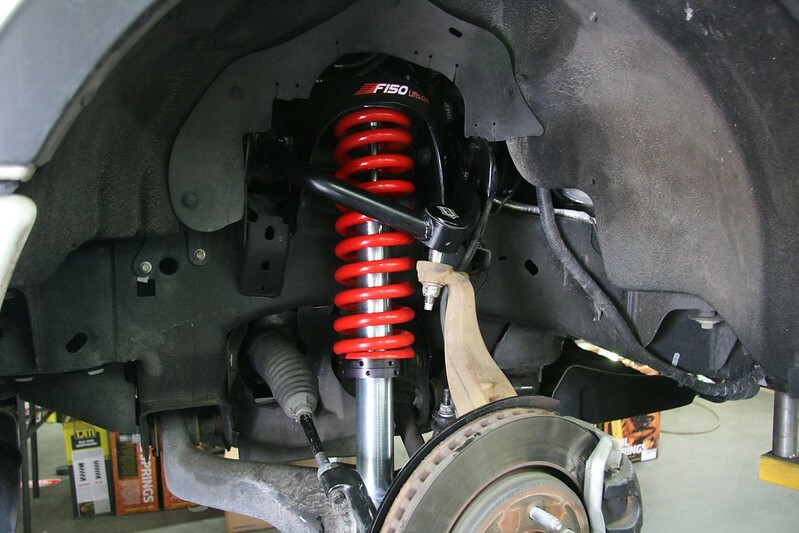 As just agreed we will upgrade the donated Coilovers to our F1B Series and the choice is....drum roll.... Killer Red! One of you sharp forum guys noticed that the milage numbers didn't add up quite right. Question: How could this set have only 500 miles on them when Alex said the original set was tested for 20K miles. Answer: because this give-away set is not the original set that did the 20K testing. That set was removed a few weeks ago and about 500 miles ago when we took the F150Lifts truck to a show. We wanted a nice new set on for the show. Good catch Thor! Last edited by HaloLifts; 04-08-2014 at 02:43 PM. Alex, that is pretty coo of yall. how much testing you gonna get on them before you put them up for sale? all on road? highway? offroad? where the white coils ? Super Kevin!!! Glad everything worked out! Thanks again for your support! Last edited by HaloLifts; 04-06-2014 at 11:58 AM. Stoked to see how the real world testing goes! The F150Lifts Adjustable Coilovers that were removed to make way for the Boss testing... Had less than 500 miles on them and will be donated to a lucky Forum member for free! They will be dissembled cleaned up, reassembled and on the the way to him on Tuesday. Why? Just because thats how we roll! Cheers!!! From F150Lifts! 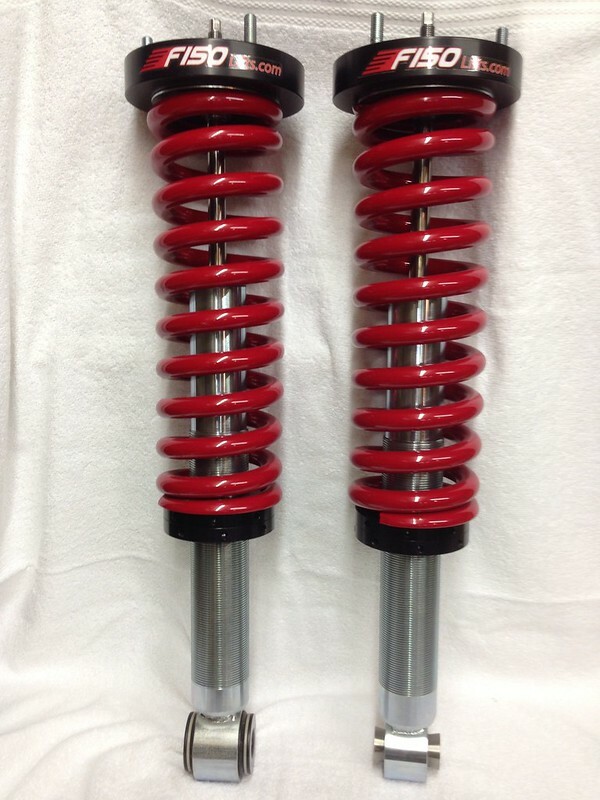 As just agreed we will upgrade the donated Coilovers to our F1B Series and the choice is....drum roll.... Killer Red! Super cool, how do we get in on that? That lucky forum member was selected by random.